Although the group cannot provide lessons, some of our members are lace teachers with classes available for you to join, and other members are always willing to answer a question or two and to help other members. We have a comprehensive library, from which all members are entitled to borrow books and Magazines (a very useful source of patterns). Our members also benefit from a quarterly newsletter, full of information and fun articles. The cost of a yearly membership is £30. 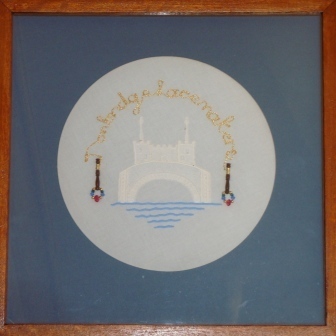 The group organises the annual Tonbridge Lace and Thread Fair, which many suppliers and around 300 lacemakers visit. Our members are always willing to demonstrate at events. Since 2009 this has included our own Suppliers Fair.